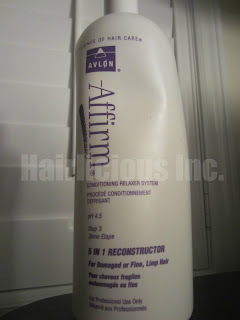 Affirm 5 in 1 Reconstructor - Hairlicious Inc. 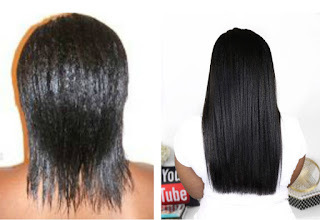 Promises: Affirm 5 in 1 Reconstructor, for damaged or fine, limp hair, is a unique blend of micro- and macrofibrous conditioners that normalizes hair as part of Affirm Conditioning Relaxer treatment. 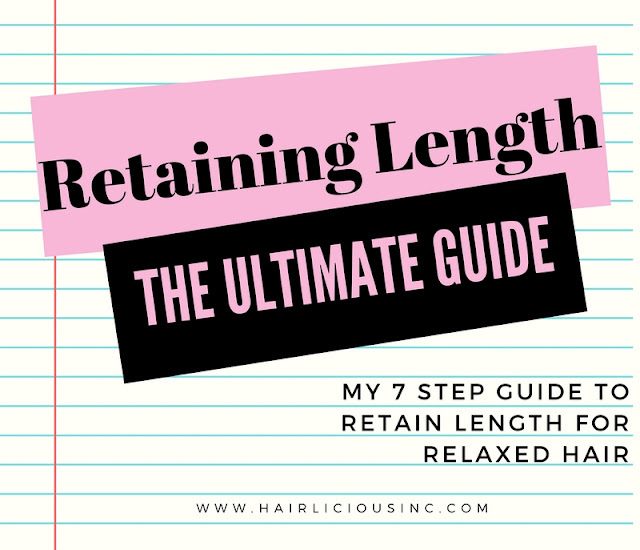 As a reconstructive treatment it : - repairs damage, minimizes breakage and shedding, re-aligns, seals and smooths cuticles, minimizes porosity, detangles, volumizes fine limp hair, imparts body and shine. 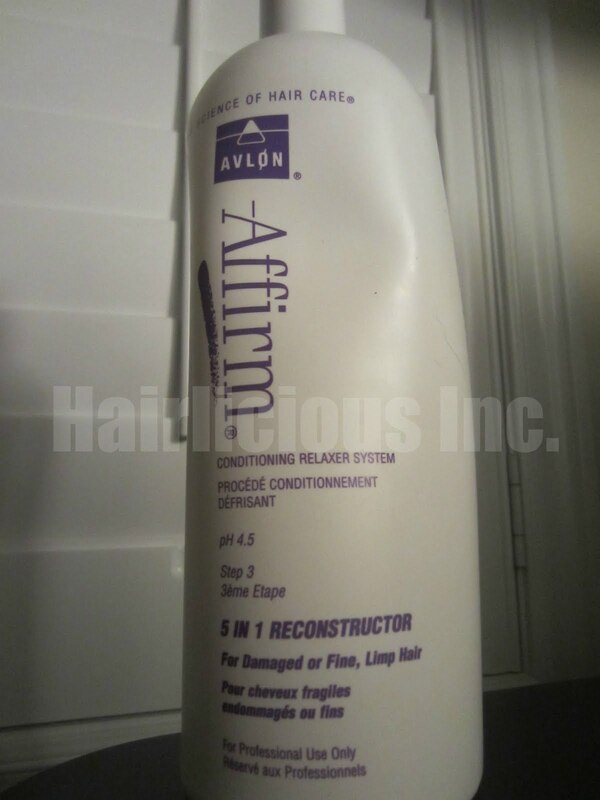 Directions: As step 3 of Affirm Conditioning Relaxer System: Apply immediately after rinsing creme relaxer from hair and leave on for 5 mins. As a reconstructive treatment: Apply liberally after shampooing. Cover the hair with a plastic cap and leave on for 30 minutes. 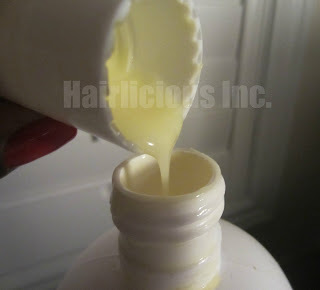 Ingredients: Water, cetearyl alcohol, glycerin, urea, hydrolyzed wheat protein, mineral oil, dimethicone, C12-15 alkyl lactate, dimethyl stearamine, PEG-3 tallow aminopropylamine, citric acid, polyquaternium-6, polyquaternium-11, isostearyl ethylimidonium ethosulfate, polyacrylamide, ceteth-20, glyceryl sterate (and) PEG-100 sterate, stearalkonium chloride, imidazolidinyl urea, fragrance, tetrasodium EDTA, methylparaben, propylparaben, FD_C yellow #5. The Truth: I was so excited to try this conditioner. I heard good things about it so I decided to give it a try. I've been using this conditioner over the past 4-5 months and I regret to say that I have mixed feelings about it. I've tried it on both freshly washed hair, and on dry hair as a prepoo treatment. I used it once every 2 weeks and occasionally once a month to see how my hair would react. For me, the conditioner worked better on freshly washed hair. It seemed as though the reconstructor penetrated better with moisture that was already in the hair. The conditioner provided a TON of slip which is always a bonus as it helped with detangling. Because of the slip, rinsing out the conditioner was a breeze!! My cuticles were flat. My hair was buttery smooth and silky. I always followed up with a moisturizing deep conditioner, with heat, to balance out the protein. My breakage was never cured/minimized when using this protein conditioner, in fact, it seemed to increase a tad bit, immediately after use. After close observation, I came to the conclusion that it's not my hair being out of balance, but the conditioner itself. It was just too harsh for my hair. No matter how I used it or what I used after it (to soften my hair), it was too concentrated/potent thus leaving my hair somewhat dry, rough and continuously breaking. I think my hair thrives best with weekly light protein treatments followed by a moisturizing deep condition. It works! I would consider Affirm 5 in 1 to be a medium protein (since protein is high on the ingredient list) which should be used once every 2 weeks or monthly. Overall, this conditioner is good, however, it failed me as it did not meet my expectations and as a result, I will not be repurchasing this product. Price: $45 CAD 32 fl. oz. I was always curious about this conditioner, but I rarely see it in stores near me. Thanks for thorough this review! I felt the same way. You're right. It's not in every BSS so it's not easily accessible plus it can be costly depending on where you live. Thanks for reading. As for the Affirm, did you see any reviews before hand, or were you just trying it out for yourself? I guess you win some, you lose some, but keep up the great work, Miss Sunshyne. Stay blessed, and HHG! How was it when you/if you used it after a relaxer? Like you said, its probably more so for a 1/2 times a month thing. I have been looking high and low for this product, I even tweeted u about it :-)Thanks for the review. Me thinks I'll be sticking to Joico K-pak reconstructor, its been working well with my hair. A three and half star rating is not enough to make me switch. @Raven Jene - Tell me about it. I tried this conditioner because of the great reviews I read about it. 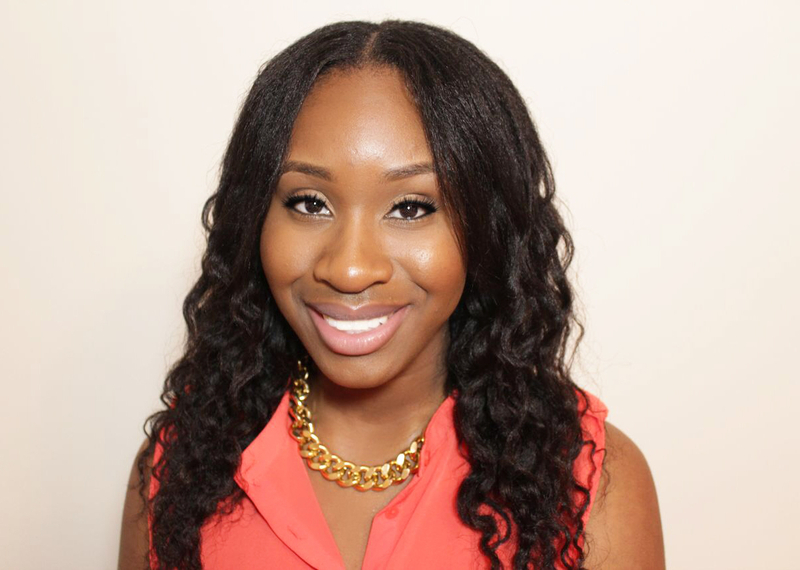 This was my first Affirm product I've tried on my hair and so far, I'm not entirely impressed. I use and adore ORS Lye relaxer. I've been using it for almost 3 years and I don't think I'll change any time soon. If you decide to try it, please let me know how it works for you. @cjean09 - I've never used this product after or right before neutralizing on relaxer day. I have an upcoming relaxer this month, I'll give this conditioner another try and see how it operates on freshly relaxed hair. @Tammy - Aww thanks for reading my blog. I'm glad you are loving the joico kpak. No need to make the switch. That product is definitely worth the money. I just felt like experimenting a little. Keep in touch. I've tried this conditioner before and it did make my hair dry too! I however use Affirm Fiberguard to relax and I think it's too mild for me: I'm considering changing up. Maybe I'll try ORS Lye. @Drfomsky - Really?! I thought it was just me. Lol. 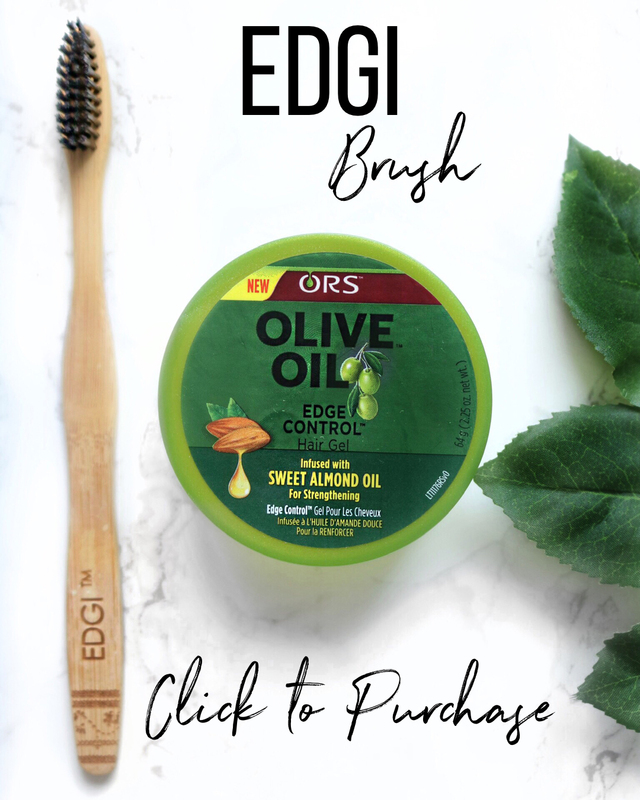 ORS Lye is very good, some find it too strong, so I guess it depends on your hair type. I find it mild since it leaves a bit of texture in my hair. I hope you like it. When are you showing us the results from your june relax? I have sworn by KereCare/Affirm products since 2003. However, I found the Reconstructor to be way too strong, and my breakage got worse. Instead I use Vital (light protein) weekly. Thanks Lisa! It's definitely on the heavy side. Oh yes I do. ORS lye normal is my favourite relaxer. I've been using it for 2 years now. Please try affirm positive link conditioner....I love it! I wanted to try the 5n1 but thought it would be too harsh, I would use it if I had extreme breakage. I would compare it to Aphogee"hard protein". The positive link is mild and I follow up with moisture conditioner. I tried the Affirm 5 in 1 Reconstructor. The first time I tried it, I did it on dry hair. The results were amazing. My hair actually retained its mositure and it wasn't as frizzy. The second time I tried it, I did it on wet hair- my hair went back to being frizzy and dry. 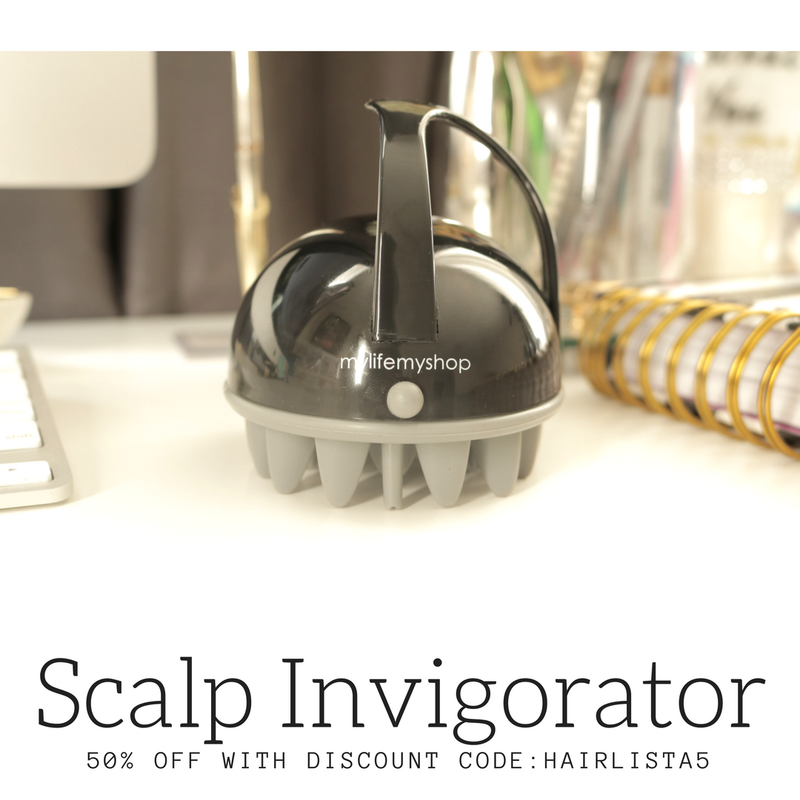 Every since, I have been using it on dry hair and I am very pleased with the results. Thanks hun for the mini review. Dry hair is best as the hair absorbs it better :). It makes sense. Have you tried Affirm Positive Link Conditioner? If so, can you do a review? I tried it today, not sure what I think about it, I found it hard to wash out. I'm not sure whether I used to much. However, it did leave my hair detangled, strong and moistuized. Your feedback would be appreciated. I like Affirm 5 in 1 Reconstructor though. No I've never seen it nor have I tried it. I'll definitely look out for it now. Thank you!! I just purchased a bottle from Amazon and the ingredients are completely different. Do you know if the formula changed?